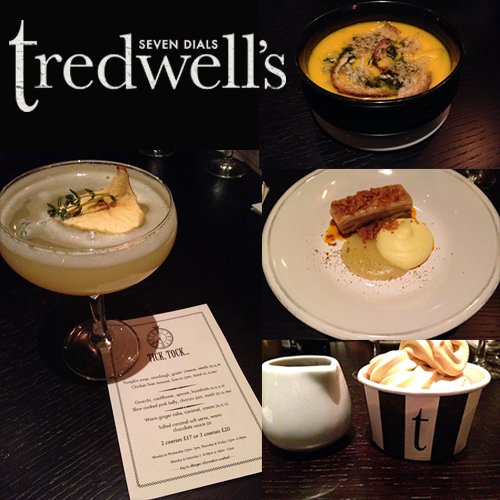 Tredwell’s is the new West End eatery from Marcus Wareing Restaurants. Just a stones throw from the majority of West End theatres this is the perfect place to come and eat before you head off to see a show. Combining accessibility with a relaxed, informal atmosphere, great food and cocktails, the menu features modern London cooking with a focus on British produce. , Monday to Saturday 5pm – 6:30pm & 10pm – 11pm featuring mouthwatering dishes like Pumpkin Soup, Pork Belly and Warm Ginger Cake.